If you have just moved to Northern Cyprus with your pets, and have already gone through the necessary quarantine process, we congratulate you! Pets are part of family and moving to Northern Cyprus should not be a reason to part from them. In Northern Cyprus there are laws of not only bringing the pets into the country, but also requirements that should be observed if you are a pet owner. From 1 January 2014 the TRNC adopted a new law stating that all dogs in the territory of Northern Cyprus over the age of six weeks should have a microchip. Microchip that contains the details of the dog must be registered in the State Veterinary Department. If your dog already has a microchip, you will need to visit the veterinary clinic and present the pet’s passport with an indication of the microchip. Workers of veterinary clinic will issue a registration form. You will pay the fee of 15 Turkish liras plus the cost of the veterinary clinic services, or you can apply to the State Veterinary Department in Nicosia, where you will fill out the form and only pay 15 Turkish liras. 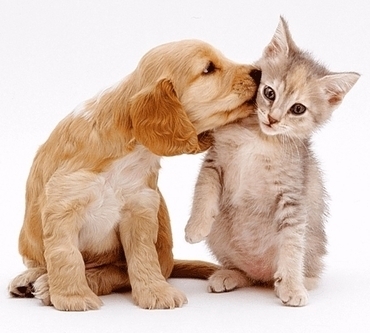 If your pet does not have a microchip: visit any private veterinary clinic and they will implant it. For this, complete the registration form in the public vet office and bring it back after the clinic. All the microchip’s data will be added not only to the TRNC’s network, but also to international database. The microchips are planted only once, and every year the pet must be reregistered in local municipal government. To do this you will need the pet’s veterinary book/passport, where the data of the microchip is stated. The costs of registration at 01.09.2011 are as follows: male dog – 17 TL, female dog, spayed – 17 TL, female dog, unneutered – 55 TL. The dogs should not be roaming the streets without supervision at any time. By the laws of Cyprus, the pets cannot be moved across the Green Line between the Northern and South Cyprus. 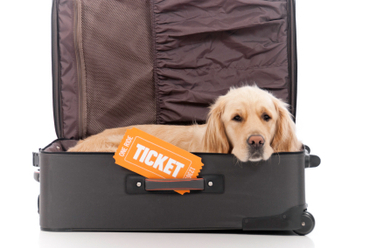 To move to Northern Cyprus with your dog, you will need to obtain the pet’s passport, where it will be stated that the dog had rabies vaccination at least 30 days prior to entry date to the TRNC, as well as obligatory vaccinations against other infectious diseases. For cats, the vaccinations required are those against feline enteritis and cat flu. All pets must undergo medical examination no more than 48 hours before departure from home country and receive health certificate. Your usual veterinarian at home can help you with this. Upon arrival of your pet to Cyprus, if the documents meet all entry and you have a valid address in the TRNC, where the pet will not come into contact with other animals and there are sufficient wall/fence around the property it is very likely that the pet will be released without domestic quarantine.